For many visiting the county this half term, planning your family days out can be tough. There are endless opportunities, from blissful beach days to hunting around National Trust properties, family run farms and popular amusement parks. Yet we believe that the true beauty of Cornwall lies in our heritage, natural landmarks and breath-taking coastlines. 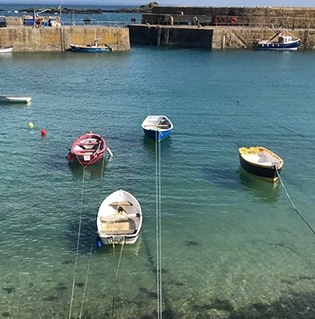 To help you make the most of the warmer days ahead, we’ve created the ultimate guide to a day of exploring from a local’s perspective, in an area that makes us feel blessed time and time again to live in such a remarkable part of the country. 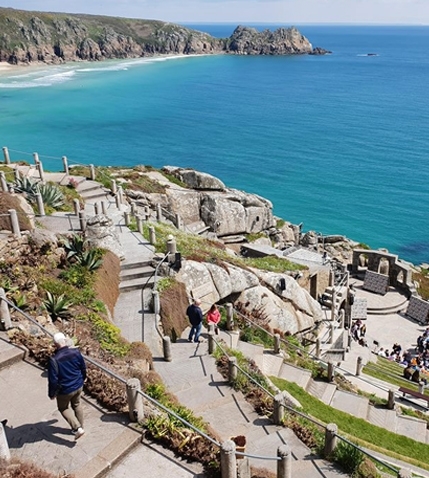 Start your day on the road to the south coast, just four miles before Land’s End you will reach the Minack Theatre. A truly unique spectacle; this open-air theatre located on the cliffs above the Atlantic Ocean was constructed from concrete and sand during the early 1930’s. Today, this very special monument is still in full use with two performances each day taking place during peak season, an interactive museum to explore its history and gardens, a gift shop and a café. With admission prices to look around set at £5.00 for adults, reduced tickets for children and 2 years and below entering for free, explore the heritage of this extraordinary environment at a fantastic price with re-entry for a year free of charge. Why not stay and enjoy a performance? See the schedule and ticket prices here. 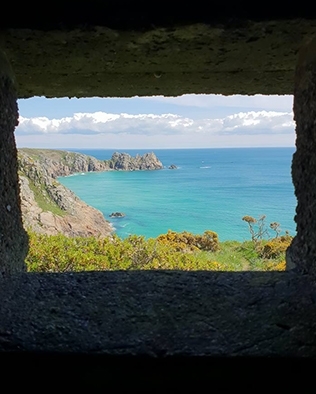 With 20% off admissions for The Minack ticket holders, the whole family can next indulge themselves in the history of communications at The Telegraph Museum whilst trekking through the bombproof tunnels developed to protect this vital innovation during World War II. 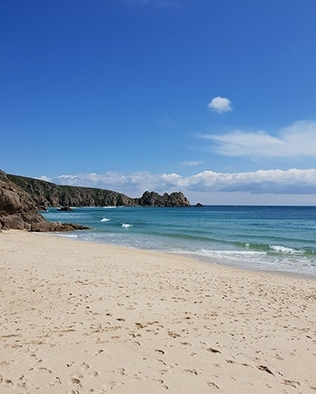 After a morning of education and culture, retreat to the soft beaches of Porthcurno and relax in the golden sands. This relatively sheltered beach is a favourite amongst locals during the hustle and bustle of the summer months. 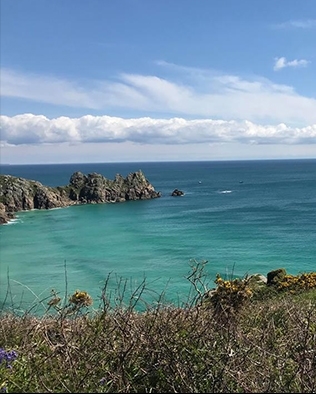 With rugged cliffs surrounding the shore, this charming hot spot comes complete with quaint, secluded caves and private coves which are only accessible whilst the tide is out! 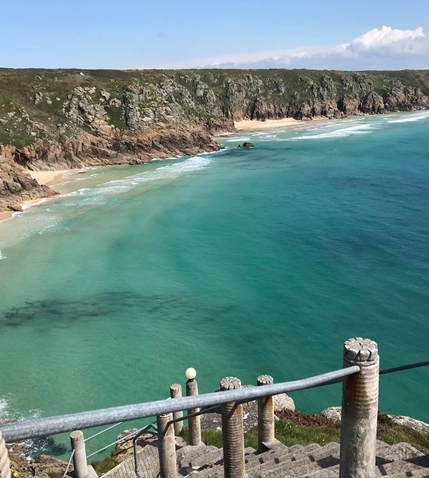 After a pitstop and a picnic on the beach, follow the glorious coastal path along the cliff and explore the shore from a height. Take the most appropriate route for you and your family and enjoy an active hour or so above the coastline. End your day at the magical island off the coast of Marazion; St Michaels Mount. 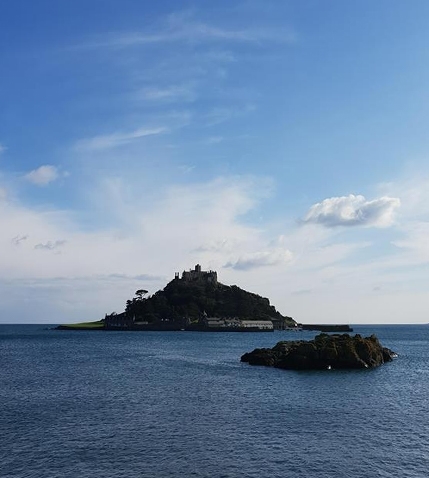 Venture by foot over the cobbled pathway or take a boat depending on the tides activity, to the picturesque castle located on the mount. This 12th century landmark is iconic of Cornwall and home to a small community who inhabit this tiny island. 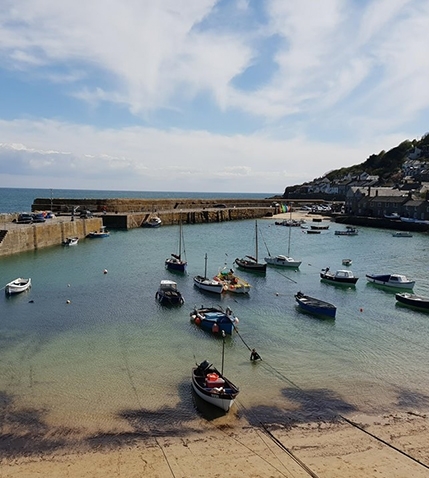 The harbour is just one of many locations to discover, why not visit the fairy-tale castle and let imaginations run wild in the sub-tropical gardens or discover the village and dine at the Island Cafe? There truly is something for everyone in this enchanting environment, explore it this half term and create memories with your family and friends that last a lifetime. And if it isn’t quite flip flop weather, explore our range of sheepskin boots for all the family here, perfect for keeping little toes warm after a paddle in the sea. We hope you’ve enjoyed our exclusive insight into our favourite ways to spend sunny days.